There has already been a massive shift to democratizing government data. Data.gov and similar agency-specific platforms are examples of previously inaccessible data being made available through raw dataset downloads and APIs. In most cases, it’s not as if this data was previously withheld from potential consumers; it simply was not possible to economically deliver vast quantities of raw data or to perform intensive, even relatively simple analytics, on the data at a scale that would allow for a valuable outcome. Democratizing data for public consumption has opened the door for new industry-led services — whether the intended customer is a federal employee or the citizen. As Keith Trippie — who most of you know as Former Chair for the DHS Applications and Services Council (ASC) — argued on the panel, “It’s the citizen’s data” and not the government’s nor the vendor’s. The panelists all agreed that shifting the focus to the needs of the data consumer is necessary to develop a useful product. What details should be collected? What format will ease the burden of data cleansing? There is real opportunity in providing readable (machine or human), robust datasets that allow the consumer to derive actionable insights. Getting data to that usable state is in itself essential to customers. 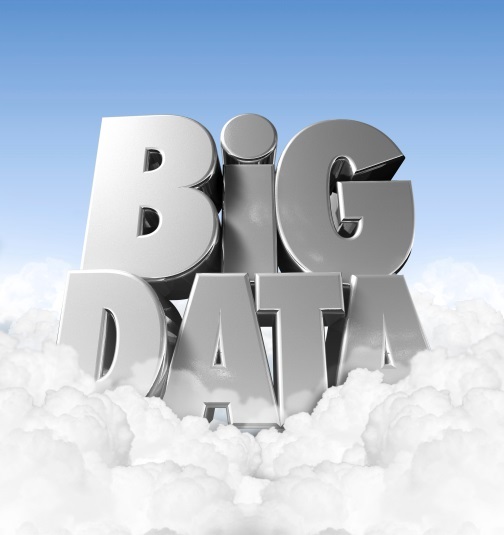 This is not just an attempt to use a ‘V-word’ to define Big Data. That’s well-worn territory. However, the most fundamental challenge for vendors in any market is to show a solution’s value in addressing a real business problem. Robert Ames, Senior Vice President, Technology, In-Q-Tel, suggested that the narrative has already moved from the “What to the Why” when it comes to evaluating Big Data strategies and solutions. Focus has shifted to one of ROI versus simple “speeds and feeds.” This is a pivotal moment for the evolution of Big Data; one in which it must transcend its own hype to become a real solution to real-world problems. Taking this step will be beneficial to the entire Big Data Community by proving its utility and yielding increasingly valuable use-cases. Damon Davis, Director for the Health Data Initiative, CTO Office, HHS, argues that many agencies are currently open to change. His organization within HHS, the self-titled “Idea Lab” is an example of progressive organizational changes within government to foster an environment that is willing to take risks, strive to — as Keith Trippie puts it — “Fail early”, and continuously refine approaches; the panelists agree, this must be done while maintaining a focus on ROI. The Idea Lab tackles real-world problems and derives value from data using available technology —and does so in an environment that allows for agile decision making and risk taking. The Big Data Community is at a crossroads familiar to rapidly growing technology segments. By moving past the hype and focusing on specific business problems, while simultaneously easing customers’ concerns about risk, we are helping the Big Data Community mature. Additionally, we are seeing new markets emerge as more data becomes openly accessible. If industry and government can continue to work together with all of this in mind we may see widespread adoption to a point where Big Data becomes so ubiquitous that the buzzword itself disappears. Then we can finally say the space has grown up. Chris Short has over 8 years of experience in direct sales, and sales strategy with 4 years of specifically in the federal space. He has concentrated on providing market insight to IT manufacturers with a focus on the customer’s mission and delivering value to DOD and Civilian customers and IT vendors alike.